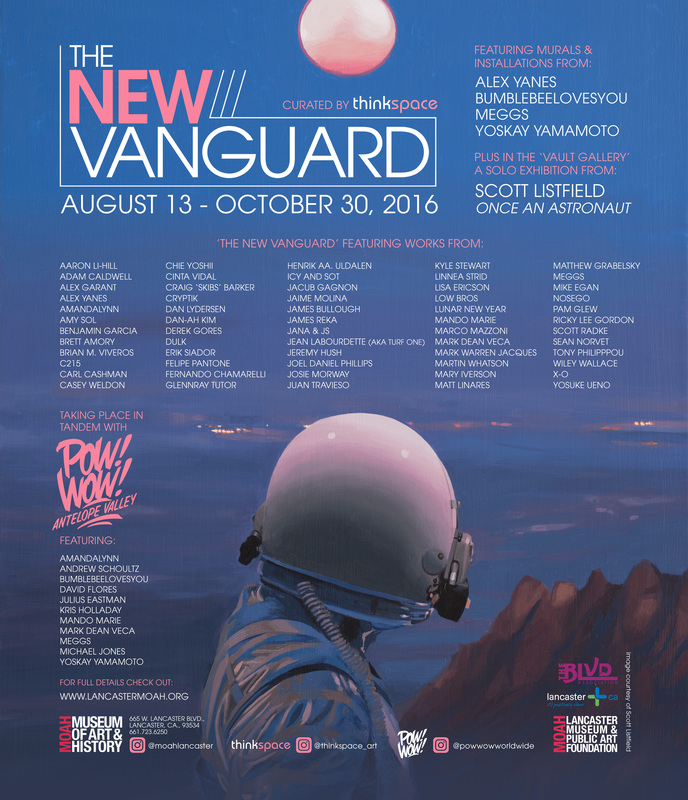 (Lancaster, CA) – The Lancaster Museum of Art and History, in collaboration with Los Angeles’ Thinkspace Gallery, is pleased to present The New Vanguard, featuring works by over 55 artists from the New Contemporary Movement. The exhibition will present one of the largest cross-sections of artists working within the movement’s diverse vernaculars, ever shown within a museological context in California to date. An ambitious compilation, The New Vanguard will bring together some of the most relevant and dynamic artists currently practicing from all over the world. 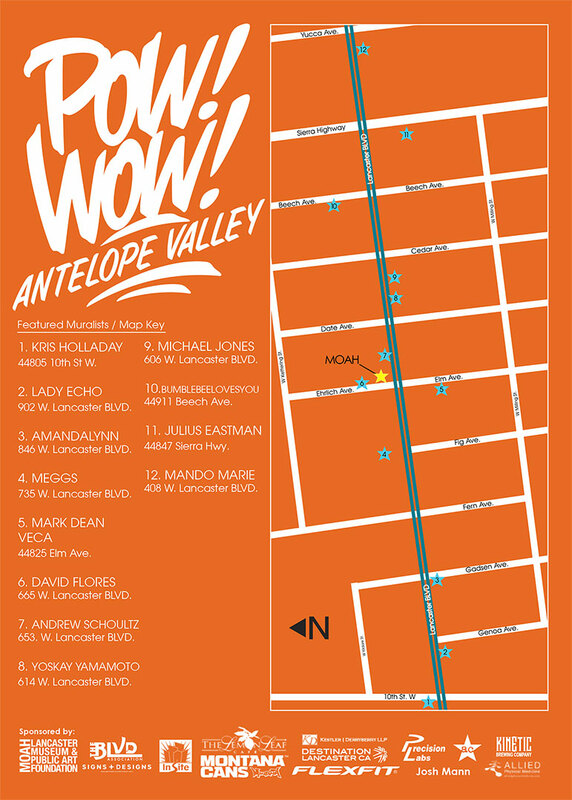 The exhibition, opening August 13, will take place in tandem with this year’s installment of POW! WOW! Antelope Valley. The exhibition will feature site-specific murals and installations within the museum by Alex Yanes, Bumblebeelovesyou, Meggs, and Yoskay Yamamoto, a solo presentation of works by Scott Listfield in the Vault Gallery, and a diverse group exhibition of works in the South Gallery, including pieces by Aaron Li-Hill, Adam Caldwell, Alex Garant, Amandalynn, Amy Sol, Brett Amory, Brian Viveros, C215, Carl Cashman, Casey Weldon, Chie Yoshii, Cinta Vidal, Craig ‘Skibs’ Barker, Cryptik, Dan Lydersen, Dan-ah Kim, Derek Gores, Dulk, Erik Siador, Felipe Pantone, Fernando Chamarelli, Glennray Tutor, Henrik Aa. Uldalen, Icy and Sot, Jacub Gagnon, Jaime Molina, James Bullough, James Reka, Jana & JS, Jean Labourdette (aka Turf One), Jeremy Hush, Joel Daniel Phillips, Josie Morway, Juan Travieso, Kyle Stewart, Linnea Strid, Lisa Ericson, Low Bros, Lunar New Year, Mando Marie, Marco Mazzoni, Mark Dean Veca, Mark Warren Jacques, Martin Whatson, Mary Iverson, Matt Linares, Matthew Grabelsky, Meggs, Mike Egan, Nosego, Pam Glew, Ricky Lee Gordon, Scott Radke, Sean Norvet, Tony Philipppou, Wiley Wallace, X-O, and Yosuke Ueno. The POW! WOW! Antelope Valley project will include public works by Amandalynn, Andrew Schoultz, Bumblebeelovesyou, David Flores, Julius Eastman, Kris Holladay, Mando Marie, Mark Dean Veca, Meggs, Michael Jones and Yoskay Yamamoto. All the works will be centered around the area of the museum, with David Flores actually adorning the backside of the museum with a massive new mural. Historically, the New Contemporary movement has largely been relegated to spaces outside of art institutions and other arbiters of the “high,” whether it be urban spaces or subcultural haunts. 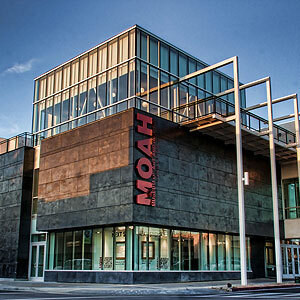 The movement, having had to create contexts for the reception of its work and support of its community, has never had the fixity of a singular genre – or its limitations for that matter – but rather has prospered under a fluidity, expanding into all manner of techniques, expressions, media, and spaces. This exhibition is significant in that it marks a period of transition in the vetted visibility of this movement and its artists, as it has become increasingly celebrated and acknowledged, not only within the context of popular culture but the institutional framework of museum spaces. No single art movement in recent memory has grown as exponentially in acceptance, visibility, and popularity in as relatively short a period, a phenomenon that attests to the power and sway of its cultural presence.